From the locals and visitors who have spent time there, to the First Nations who have respected this territory for lifetimes, the Koocanusa area—all 560 square kilometres, from Wardner down to the US border—is a diverse ecosystem filled with natural beauty. But, as the Koocanusa area has become a busier hub for outdoor enthusiasts, attracting tens of thousands on some summer weekends, concerns about the effects of increased recreation have grown. Degradation of sensitive grasslands and wildlife habitat, impacts on important cultural and archaeological resources, excessive litter and garbage in the backcountry, and growing public health and safety concerns are among the many issues that need long-term solutions. Now is your chance to let the BC Government and the Regional District know what your priorities are for recreation management in the Koocanusa area. Let them know that we need to stop the current wide open use of motorized vehicles and random camping that is destroying grasslands and the habitat of at risk species like badgers and long-billed curlews. To make your voice heard loud and clear, join in one of the open houses in Cranbrook, Fernie, Grasmere, and Jaffray starting January 31st (details below). If you can’t make it to an open house, you can fill in an online survey. 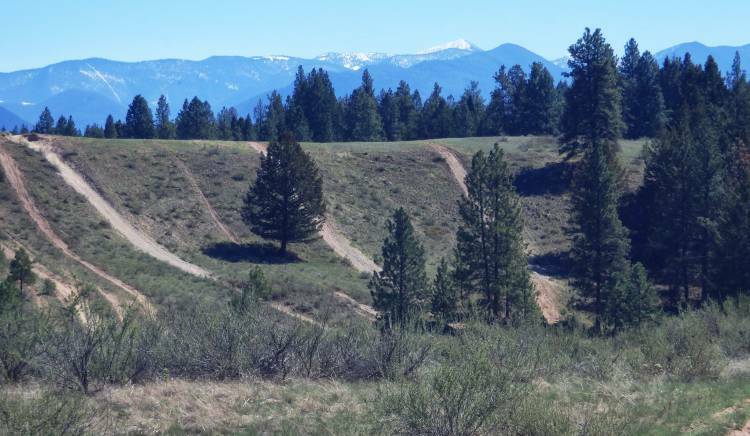 To protect the grasslands of the Koocanusa and all the flora and fauna that they support, we need to limit motorized recreation to designated trails and limit camping and day use parking to designated areas. With the number of visitors the Koocanusa area sees, the current free-for-all long ago became unsustainable. The only way to effectively manage our impact on this landscape, and to allow the damage already done to heal, is to designate campsites, trails, and parking areas. We need to use enforcement to limit recreation to designated areas, while also working to reclaim unauthorized trails and campsites. More garbage and sani dump facilities are needed to keep the backcountry clean. Please join us in calling for designated trails and campsites and strong enforcement to protect the sensitive grasslands of the Koocanusa area. Your feedback on how best to manage and protect the Koocanusa area for the long-term is invaluable, which is exactly why The Koocanusa Recreation Steering Committee and the Koocanusa Recreation Public Advisory Group have released a detailed management options report and are seeking the public’s opinion. If you are unable to attend one of the open houses listed above, you can still review the Koocanusa Recreation Management Options report and provide your much-needed feedback through an online survey. Complete your survey before the February 17 deadline.